Benefits of Honey on face!!! Surprised and confused about the ways to use? Continue reading and explore. Honey is the Beyoncé of the beauty world. She’s been around for ages but is def still the queen of everything. Honey has been used as a health and beauty product for centuries. In ancient Greece honey was used in many cosmetic and anti-ageing preparations, the woman would anoint themselves with a mixture of honey and olive oil to protect their skin as well as for facial marks to promote a clear complexion. Also Read: Benefits Of Rosehip Oil For Acne And Other Skin Problems Revealed!! Honey on face benefits must be known before you start learning the various ways of using honey on your face, skin. Raw honey is incredible for your skin thanks to its antibacterial properties and a hefty serving of skin-saving antioxidants. Full of antioxidants, it is great for slowing down aging. The reason why honey is often found as a base ingredient for almost every beauty product is that it deeply moisturizes the skin from deep within. The enzymes present in Honey enables it to easily seep into the skin while conditioning it and softening it from deep within. Artificial Exfoliators often cause your skin to go red and may cause irritation. Say goodbye to all the inconvenience by simply switching to honey as your exfoliator. Honey helps to exfoliate your face & skin by gently removing the dead skin cells. This in turn also leaves your face with a brighter complexion. Honey is a natural humectant, which means that it draws moisture into the skin from the air. Therefore, application of Honey on the face, either directly or in the form of a naturally made honey face pack, is the best way to keep your skin hydrated. If you have an oily skin, you are always at the risk of getting acne, pimples, and breakouts on your skin. So, do a patch test and see if you have an oily skin. Always choose organic honey instead of using processed honey. If you want to get the maximum results by using honey, wash your face following the dual wash method. Before you apply honey on your face, wash your face with lukewarm water. This will open up the pores of the skin. Now wash your face with cold water. This helps in closing the skin pores. This prevents dust from entering the pores. As a result, oil and dirt will not accumulate on your skin. So, breakouts will also be reduced. Remember not to use soap on your face immediately after applying the face mask on your face. You can pretty much leave the honey mask on your skin for as long as you want, but it depends on how your skin reacts. Most people wash the mask off after 30 minutes. So, honey on face overnight gives you no side effects at all. One of the easiest things you can do with raw honey is layer it on as a mask. Raw honey can help unclog pores while simultaneously delivering moisture to parched skin. Apply a thin layer of raw honey to the slightly damp skin using a circular motion. Leave the honey for at least 30 minutes and then gently rinse it off with warm water. You’ll find that it easily washes away, leaving you with soft, radiant skin. Try this simple to try DIY mask using honey for face glow. With its moisturizing and soothing effects, raw honey can hydrate the skin, leaving it soft, radiant, and glowing. The sugars in the honey act as natural humectants and emollients that increase the water content and reduce dryness in the skin even after they have been washed off. 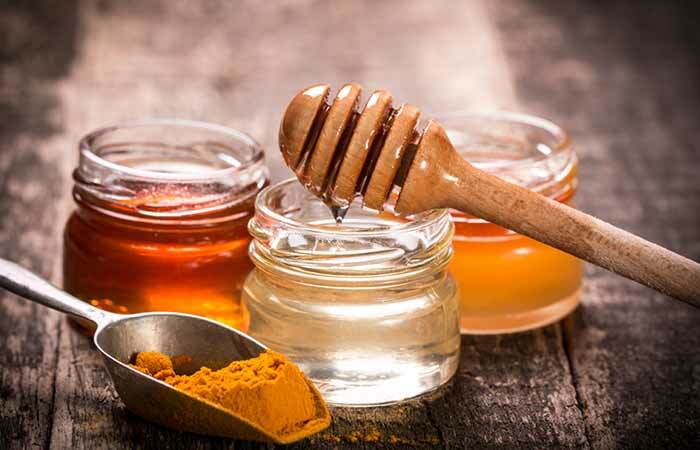 For rejuvenating your skin, you can make a face pack with honey. Take 1 tablespoon of honey and mix it with 1 tablespoon of egg white and half a teaspoon of lemon juice. Mix all the ingredients well and apply on your face. Wait for 10 minutes and then wash your face using lukewarm water. You can use it as a scrub in two different ways. Take 1 tablespoon of honey and mix it with 2 tablespoons of almond that is grounded and powdered. Add half a teaspoon of lime juice also. Mix all the three ingredients well. Use this as a scrub and scrub gently on your skin with circular motions. Then wash using lukewarm water. Mix 3 tablespoons of honey with a half teaspoon of sugar or sea salt. After mixing them well, massage your face with it. Wash off with lukewarm water. Honey is a great wound healer. The antioxidants in honey (particularly Manuka honey) nourish damaged skin, potentially helping the scar healing process. Plus, Engelman adds, Manuka honey’s natural antiseptic properties help prevent infections and protects wounds—which can reduce scarring and cut down on healing time. Up your relaxation goals and take a honey-infused soak. Honey’s hydrating powers will leave the skin silky soft. Mix one tablespoon ground oats with one tablespoon honey. Add rose water and mix all of the ingredients properly. Apply the pack on your skin. Allow the honey face pack to dry and then rinse it off with water. Apply this honey face pack once a week. For this honey face pack, you will need one tablespoon honey, two tablespoons yogurt, two tablespoons oatmeal, and ½ teaspoon fennel seeds powder. Have all these ingredients in front of you? Great! Now, mix these ingredients to form a smooth paste. Let this pack stay on your skin for 10 minutes. Rinse it off with water. Do this two to three times a week. Mix one tablespoon honey, ½ teaspoon turmeric powder, 1 tablespoon milk, and ½ tablespoon lemon juice. Apply the pack on your skin. Rinse it off after 15 minutes. Apply this pack two times a week. Sometimes we all need a little extra moisture for our skin, especially in those harsh winter months. Just mix 1 Tbsp. of honey with 1 Tbsp. of olive oil and a dash of lemon juice and apply to elbows, knees and/or rough patches and let sit for 20 minutes, as a mask for your body. Rinse thoroughly. 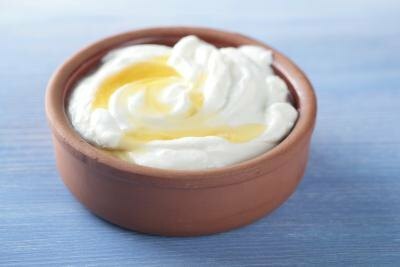 Another great way is to amp up your favorite moisturizer by just adding a few extra tablespoons of honey to it, this is especially great when mixed with a shea butter moisturizer. Take 2 tablespoons of honey and mix it with ½ teaspoon sea salt. You can also use sugar instead of sea salt. Massage your face with this mixture for 2 – 3 minutes. Rinse it off with water. Use this honey scrub two times a week. The ingredients you will need for this are 1 tbsp Milk Powder, 2 tsp Apple Cider Vinegar, ½ tsp Raw Honey. Combine all the ingredients until you get a smooth mixture. Wash your face with a mild cleanser and pat it dry. Apply this mixture onto your face. Make sure to avoid the fragile skin around your eyes. Leave the mixture on for about 15 minutes. After 15 minutes, wet your fingers and gently rub the dry mask to exfoliate your skin. Rinse your face with cool water. Pat your face dry with a towel. Moisturize. The ingredients required will include 2 tsp Rose Water, 1 tbsp Honey. Combine the ingredients until you get a smooth mixture. Wash your face with a mild cleanser and pat it dry. Apply this mixture onto your face. Make sure to avoid the fragile skin around your eyes. Leave the mixture on for about 15 minutes. Rinse the mixture off with lukewarm water and a mild cleanser. Pat your face dry with a towel. Do try these simple DIYs using honey and get benefitted.